Ash Brokerage and The City Of Fort Wayne created a new, world class headquarters in downtown Fort Wayne that towers 11 floors above the city streets known as Project Skyline. 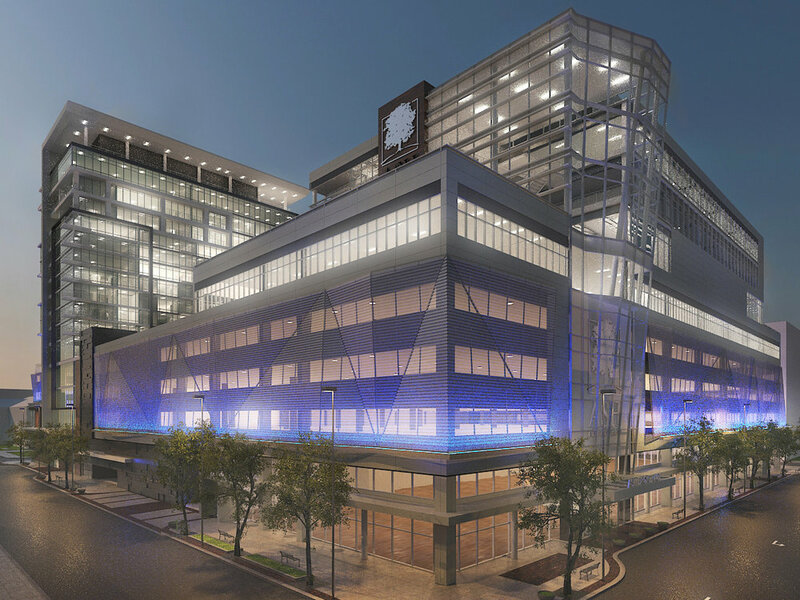 Skyline is a public-private partnership which includes the new National corporate headquarters for Ash Brokerage, retail space, and a publicly owned parking garage. 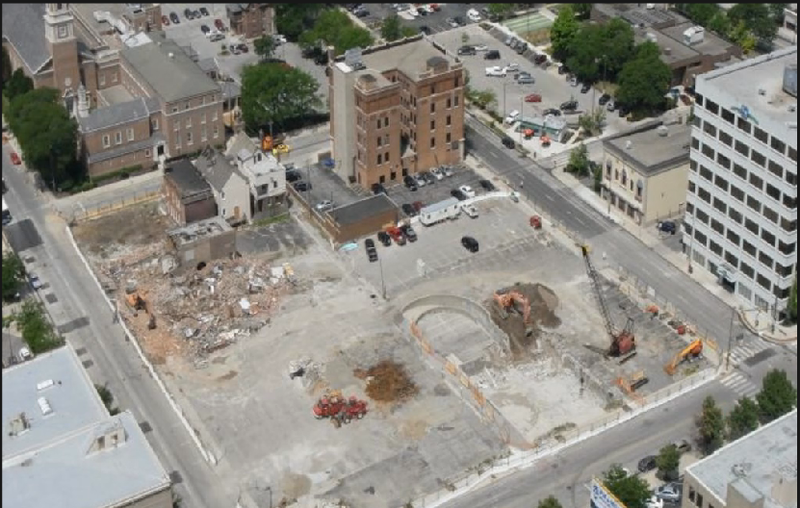 The project includes 23,800 SF of first-floor retail offering services from banking to fine dining. The 470,000 SF parking structure supports a private rooftop garden overlooking the downtown skyline from several stories above as well as four levels of corporate offices. 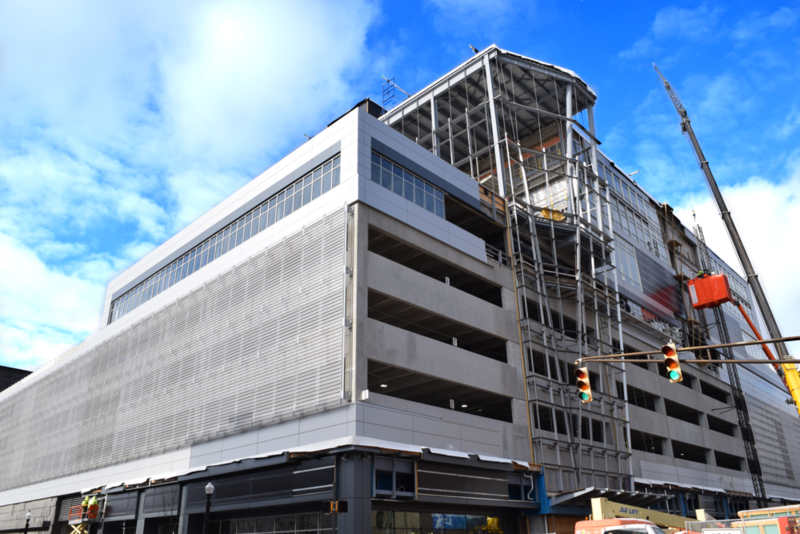 The parking structure and its programmable LED architectural lighting features, street scape, site engineering and specialty precast engineering as well as project coordination for the city of Fort Wayne were provided by Hoch. 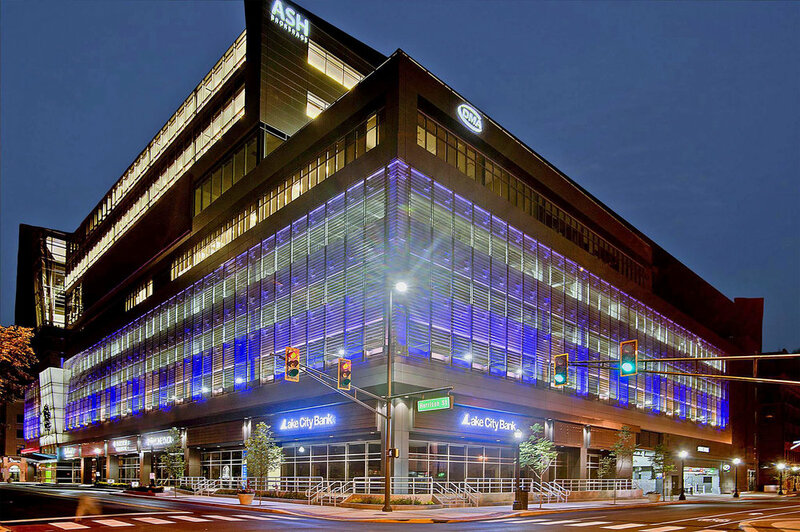 Hoch also worked collaboratively with the project team of professionals for the Ash component of the project providing a seamless integration of design and structural compatibility.